You're sure to win with this sports sale! 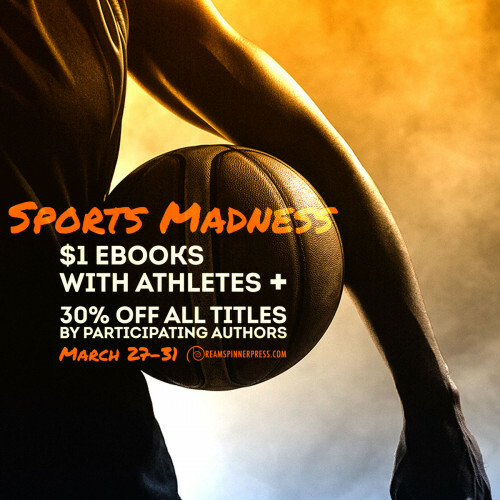 Sports Madness sale includes $1 eBooks featuring athletes and 30% off all other titles by featured authors. Chip Arnold is a well-liked football coach at a small liberal arts college, but his personal life is in a bit of a rut. He goes out drinking with his colleagues, gets along well with his players, and dates all the prettiest women in town—he has the life most straight men dream of. But lately none of the women he dates seem to be igniting any passion in him. Then he meets the new school chaplain, Foster Lewis. Romantic attraction to another man is new and terrifying, and Chip just can't put his finger on why he's drawn to Foster, but it's stronger than anything he's felt for anyone in his life. Never one to back down from a challenge, Chip decides to go for it. But love is never simple, and sometimes it's a downright mess!